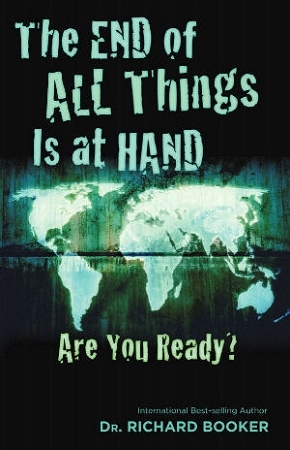 Home > Revelation and Bible Prophecy Books > The End of All Things Is at Hand Are You Ready? At least 76% of Christians believe that the end times are upon us. Do you look at the future with fear or faith? The End of All Things Is at Hand &mdash; Are You Ready? by Dr. Richard Booker, will teach you the truth about the end times. Booker explains Bible prophecy and current and future events from a biblical, Hebraic world view rather than a traditional Western cultural world view. The book itself is prophetic in its explanations, tone, and urgency, and it provides instructions on how to prepare for the future and serve God in the end times. The End of All Things Is at Hand Are You Ready? is a Watchman's call to believers everywhere.